Home Columns Op/Ed: Radon – is your home raising your lung cancer risk? Op/Ed: Radon – is your home raising your lung cancer risk? Mention radon to most people, and you’ll get a blank stare. But mention lung cancer, and you’ve got their attention! Most people don’t know that exposure to radon, an invisible odorless gas, is the leading cause of lung cancer among nonsmokers. Pennsylvania is recognized as having a very high risk of radon, so we at the American Lung Association want you to know how to protect your family. A simple test in your home can tell you if you need to take steps to reduce the risk to yourself and your family. November, Lung Cancer Awareness Month, is a perfect time to learn more and test your home. 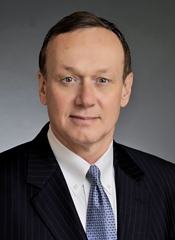 Harold P. Wimmer is the American Lung Association’s National President and CEO.